Dillenia (dill-EEN-ee-a) Linnaeus 1753 alata (al-LA-ta)(D.C.) Martelli 1887. 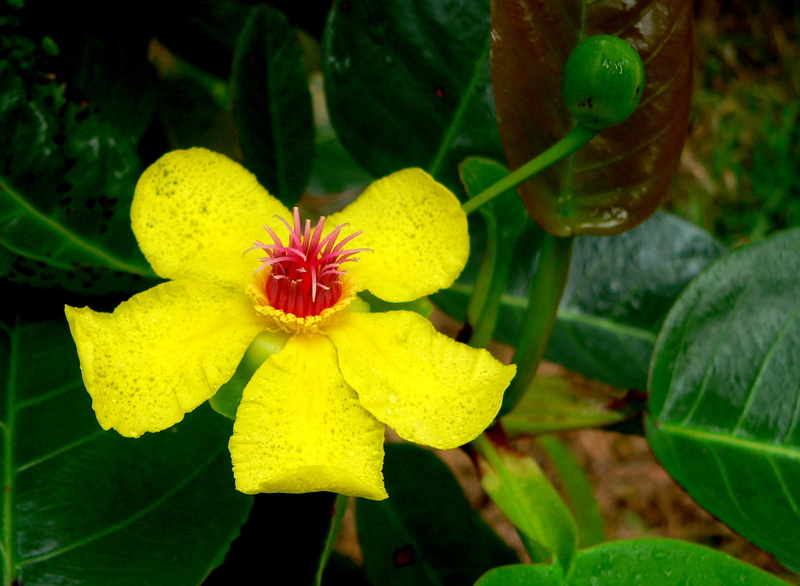 Linnaeus named this genus after a German born botanist, Johann Jacob Dillenius (1684-1747). alata = winged; a reference to the winged petiole. Common names:Red Beech, Golden Guinea Tree. Synonyms: Wormia alata, Lenidia alata. 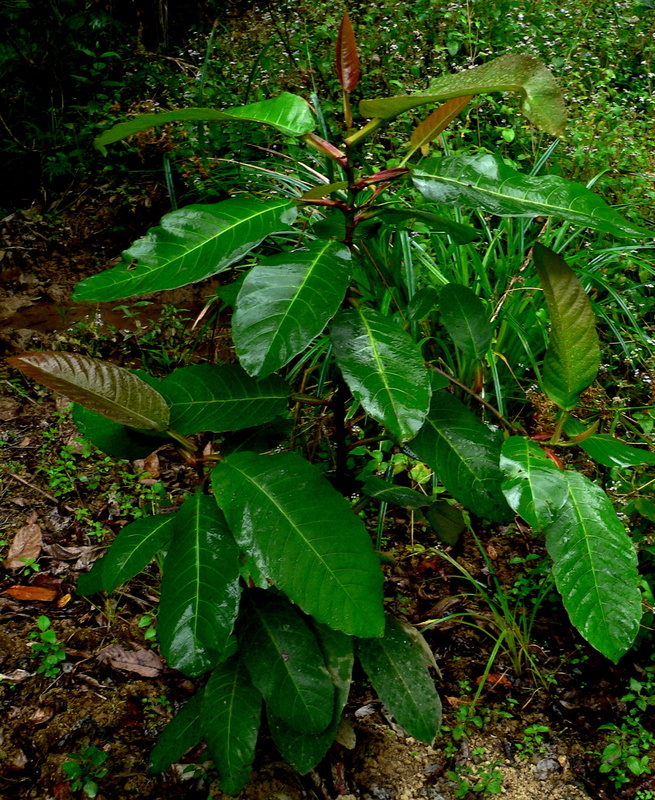 This tropical tree belongs to a genus of about 60 species of largely asian plants. 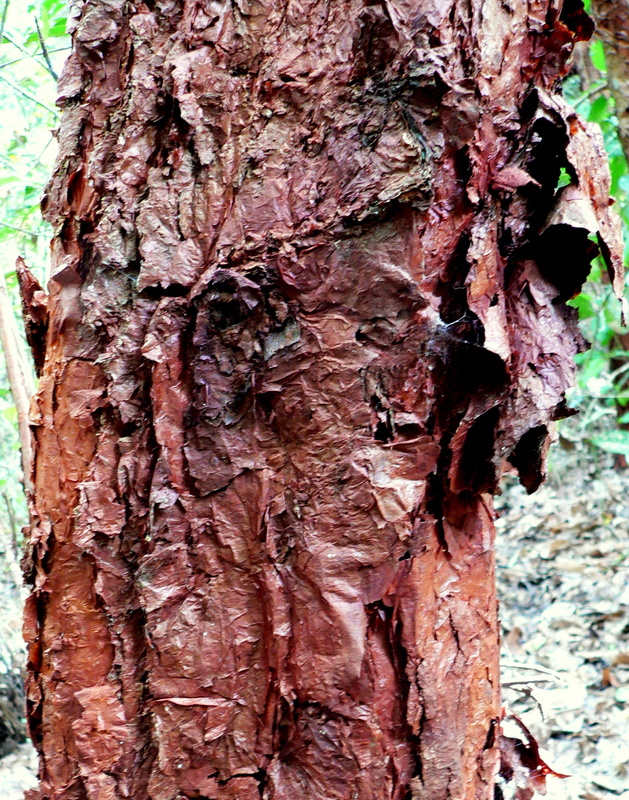 Red Beech occurs from the islands of the Torres Strait to Cardwell where it is found in monsoon forest, swamps, beach forest and the margins of rainforest particularly along stream banks. The most striking features of this medium sized tree (to 15m) are its’ attractive red-brown flaky bark, the vibrant golden yellow flowers and the unusual red fruiting carpels that display the small fleshy coated seeds. Like many of the Melaleucas, with which it is often seen growing, Red Beech has a soft flaky bark that plays host to a large assortment of other plants. Near mangrove communities I have seen a variety of epiphytic ferns and orchids adorning the trunks and branches enjoying the moisture and nutriment trapped in the spongy bark. I have also seen, on several occasions, the now rare Prickly Ant Plant Myrmecodia beccarii poised precariously on on their limbs. Another group of plants that seem to find Red Beech irresistible are climbers such as the so called Button Orchid Dischidia nummularia and Rattle Skulls Dischidia major. We have used this plant in quite a few wetter parts of our wetlands and find that once they are established they tend to deal rather well with going under flood waters and standing in soddy ground. The plants also provide good cover, owing to their dense growth habit, for smaller insectivorous birds. 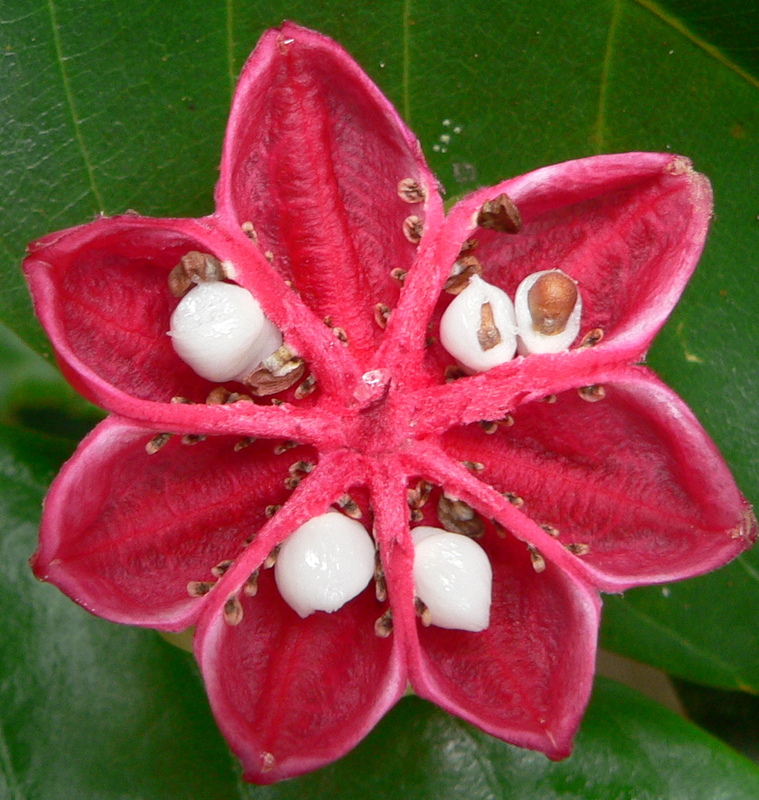 This entry was posted in Daintree Plants. Bookmark the permalink. Nice plant. Lovely species profile, Allen.